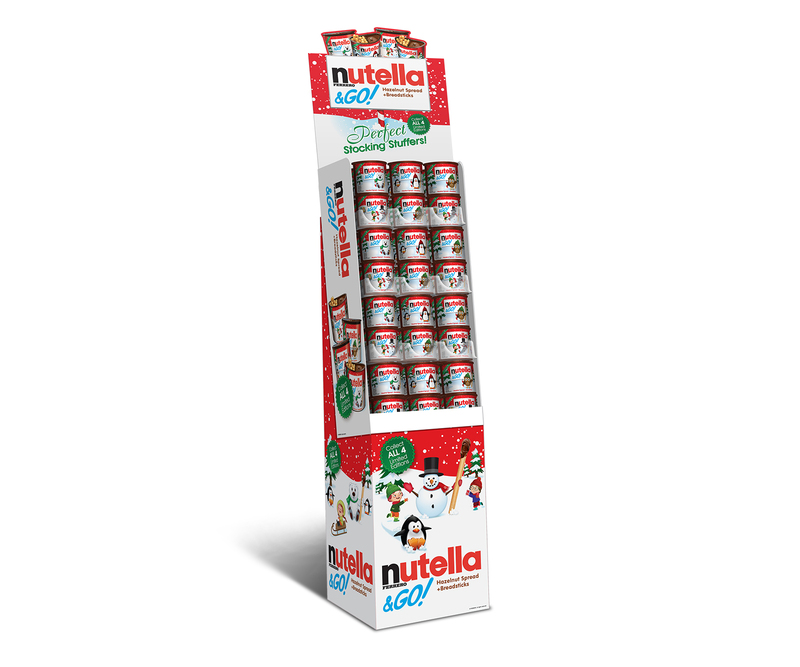 Nutella® & Go Seasonal – Zucconi Idea Agency, Inc. 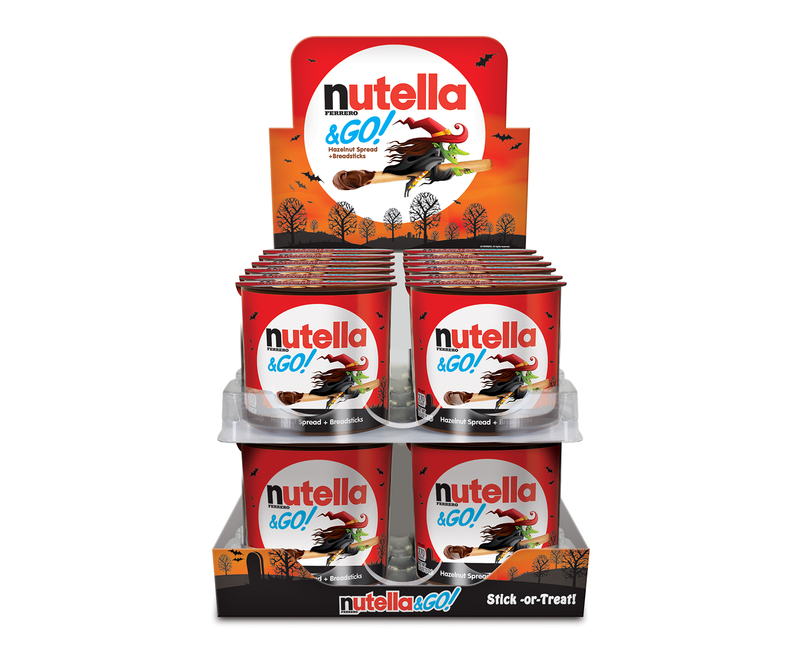 Stick or treat! 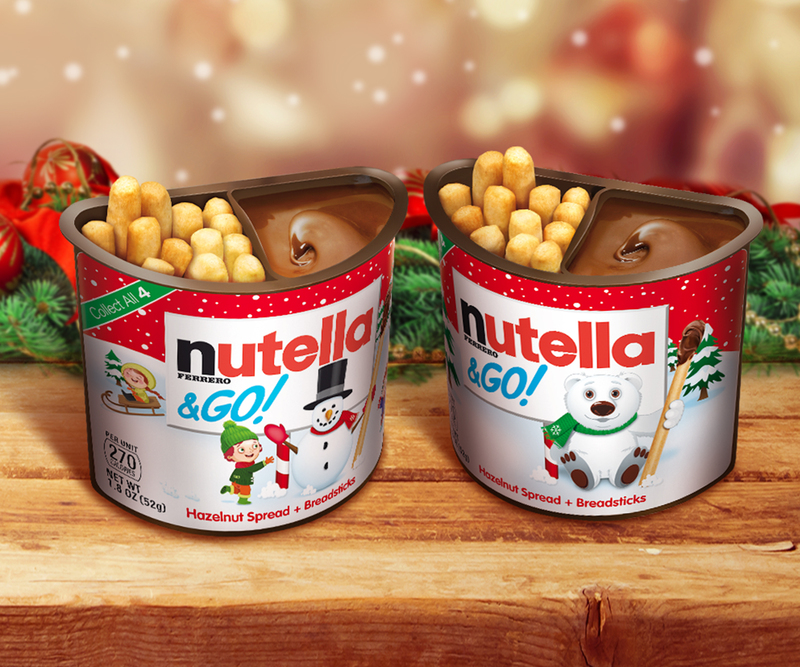 This year we took NUTELLA® & GO! where it had never gone before – to the wacky, wonderful world of Halloween. 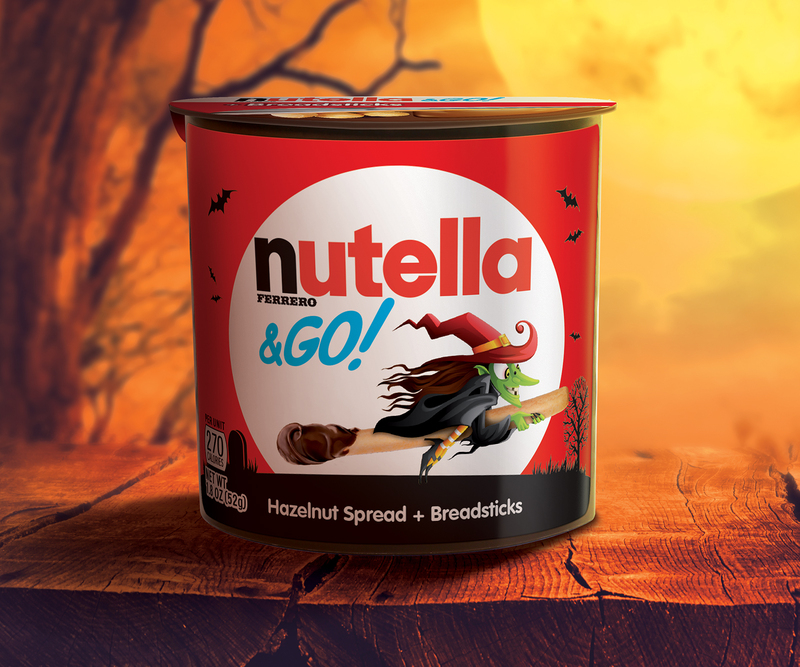 We designed new packaging and displays leveraging the unmistakable imagery of the holiday…including a scarily perfect witch riding on a NUTELLA® & GO! breadstick instead of the traditional broomstick. 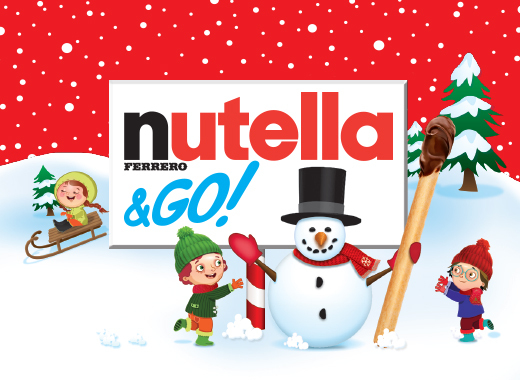 As always, it was great fun to extend the seasonal relevance of a much-loved icon brand. 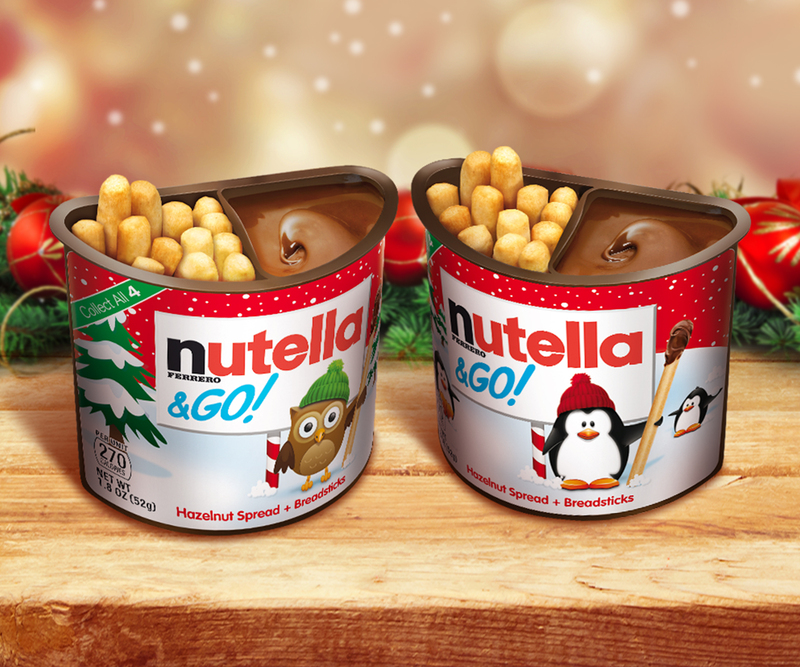 This year we put a fun Christmas spin on NUTELLA® & GO! 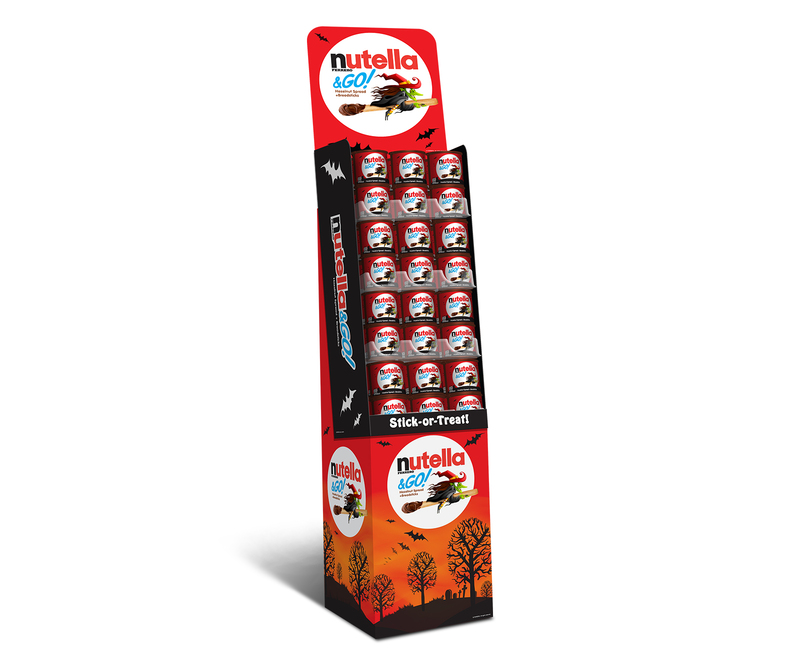 – extending the brand into a new season with a whole range of celebratory designs. 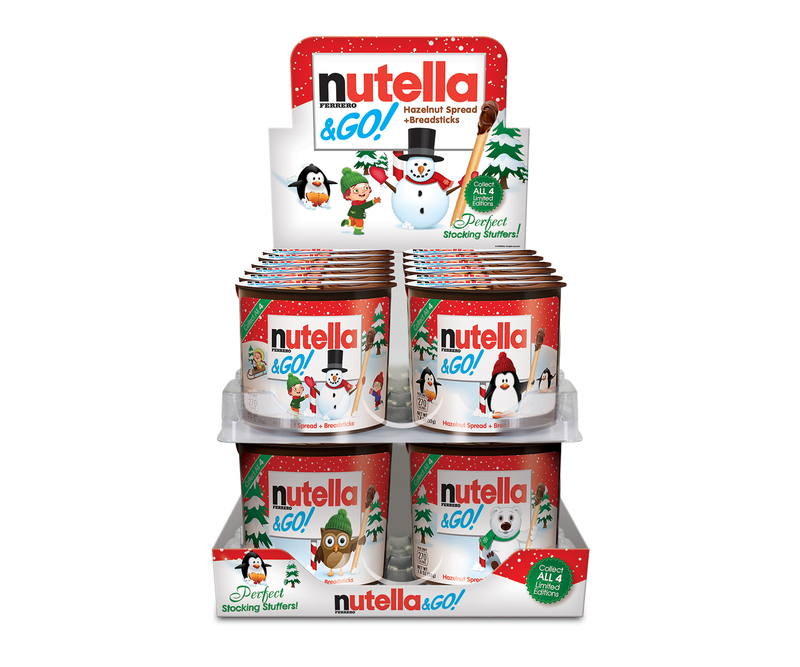 The graphics leverage the iconography of the holiday, and they also suggest a brand-new usage occasion: from on-the-go to in-the-stocking.